Leave aside for a moment the cynical reality that Sony had to make this movie sooner rather than later, in order to preserve its rights to the character after Disney’s deal to buy Marvel Comics. The fact remains that we are not even a generation removed from one of the great pop-culture one-two punches in blockbuster history (I’m pretending that Spider-Man 3 never happened, as should we all). We saw what a pretty-close-to-perfect Spider-Man movie looks like. We know that it’s possible. And because we know these things, how is it possible to look at The Amazing Spider-Man and not recognize how much it lacks? In the first place, it was borderline nuts to start all over with another origin of the character. Nerdy high school student Peter Parker (Andrew Garfield) once again is bitten by a mutant spider that bestows upon him strength, agility and the ability to climb up walls; once again, he learns the importance of taking responsibility when his self-absorption indirectly results in the death of his beloved Uncle Ben (Martin Sheen). 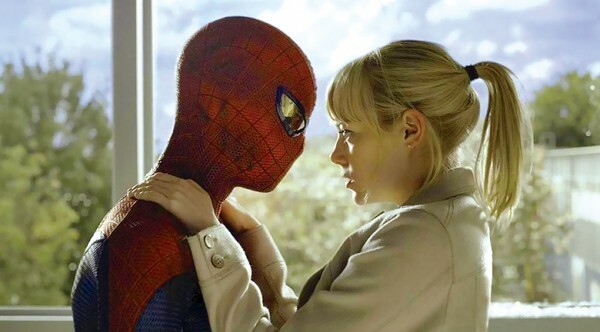 Other details get a tweaking: a return to the comic books’ mechanical web shooters created by Peter; details about secret research work by Peter’s father (Campbell Scott) that may have led to his death; Gwen Stacy (Emma Stone) taking over the romantic-interest role; Aunt May (Sally Field) having far too little gray hair. But it’s not about the details, however many of them seem like minor improvements vs. minor steps backward. It’s about the big things, like the casting of your hero. Garfield never once feels remotely right as Peter Parker, whose evolution from bully bait to cocky bully himself to hero who views his powers as bearing a burden defines the character. He simply seems lost most of the time, unable to convey the way Tobey Maguire could either the exuberance of discovering his powers or the naked adoration for his lady love that could be his undoing. While Stone’s characteristic charms make her a welcome addition, she’s playing a relationship with one confused partner. In both Garfield and Stone’s defense, that’s probably because The Amazing Spider-Man feels as though its three credited editors were working on separate movies in separate rooms without ever talking to one another. Huge chunks of crucial exposition appear to be missing, providing no true anchor to the relationships and no natural build-up to the big action sequences. Good film performances are often found in the editing room as much as they’re found on camera, and there are precious few moments here when director Marc Webb allows his performances to breathe long enough for any emotional connections to develop. The one notable exception—a lovely scene in which Peter struggles with whether or not to tell Gwen his secret—only serves to emphasize how miserably the rest of the film fails in the same regard. The greatest concern of many fanboys coming into The Amazing Spider-Man was that Webb was a director whose only previous feature—2009’s charming (500) Days of Summer—provided no indication that he could handle large-scale action sequences. Surprisingly, that’s one of the few things the film actually gets right, providing a few nifty battles between Spider-Man and his nemesis, a scientist named Curt Connors (Rhys Ifans), whose experimental serum transforms him into The Lizard. But however memorable Raimi’s battle scenes may have been, his Spider-Man movies weren’t brilliant because of what they achieved technically. They were case studies in perfect tone—understanding how to give a story full of digital effects a huge human heart, and an understanding of something being at stake for its characters. By the time The Amazing Spider-Man reaches its excruciating final line of dialogue—one that suggests Peter has learned absolutely nothing, and renders all that has gone before a consequence-free trifle—it’s clear that nobody here really grasped why those Raimi Spider-Man tales were great. They gave you something that stuck with you, not something the studio is hoping you’ve forgotten by the time they decide to make another one.